Mike Nelson. Iki twisty golem skalks (from the Amnesiacs), 2006. 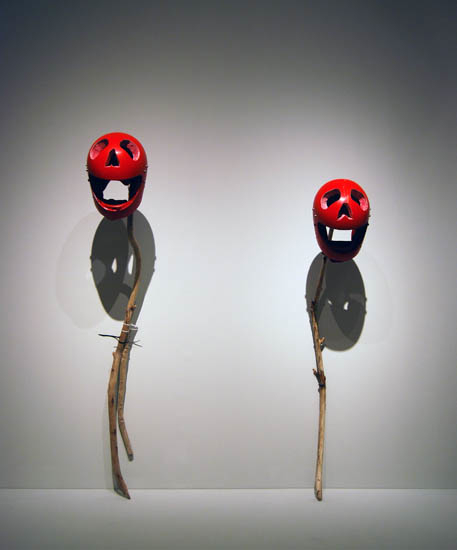 Wooden sticks, pierced helmets, paint, screws installation, 130 x 120 x 35 cm approx. Mike Nelson. 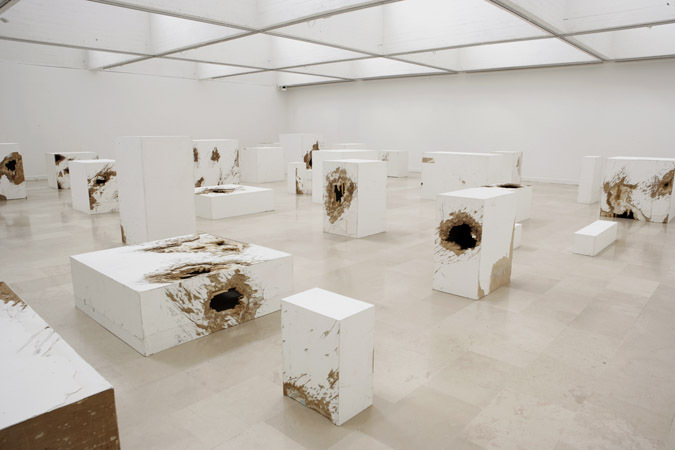 Le Cannibale (Parody Consumption and Institutional Critique), 2008. Mixed media. Various dimensions. Villa Arson, Centre National d'Art Contemporain, Nice, 2008. Mike Nelson. Procession, process. Progress, progression. Regression, recession. Recess, regress, 2009. Ottoman timber, concrete, steel, concrete mixer. Installation dimensions variable. 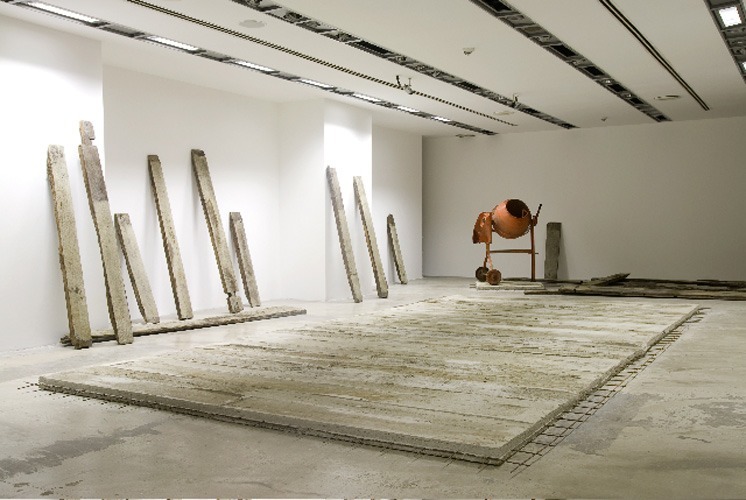 Journeys with no return at Akbank Sanat Gallery, Beyoglu, Istanbul, 2009.